Michelle and Ben were so helpful when it came to choosing my piano. They instantly put me at ease and encouraged me to try as many of the pianos in the showroom as I wanted. They guided and informed me throughout the process, but I never felt pressured into a decision. They made the whole experience feel very personalised, and thanks to them I have a piano I love playing more than I could have imagined. I loved its tone from the first time I played it – in fact I had such a strong affinity for it that Ben made sure this was the exact piano I got to keep. Choosing a piano is not an easy decision, and definitely not a rational one, but Michelle and Ben always listened to my thoughts and gave me enough guidance to help me come to a decision. 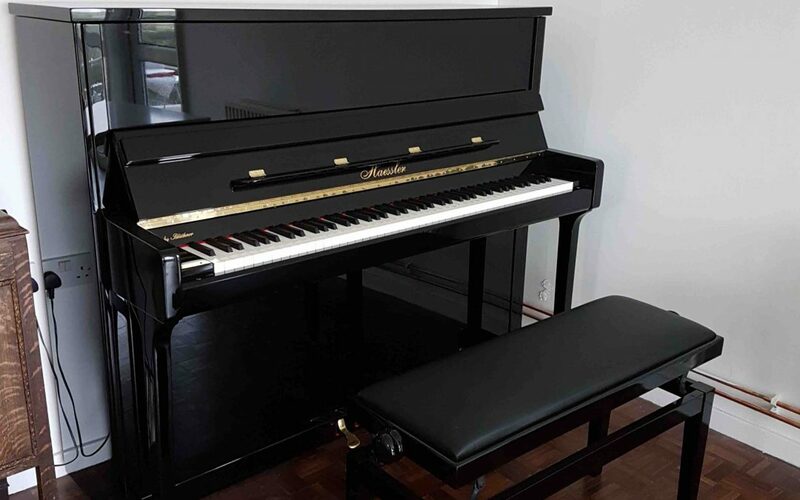 Ben gave me complete confidence in the quality of my piano, down to the last detail, and I know it will be well-looked after when he comes to tune it.